Bake 24 cookies as directed on container. 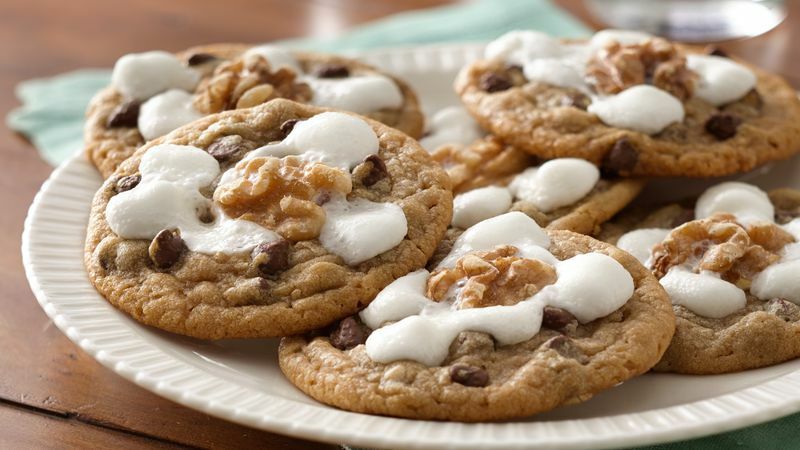 Immediately place 4 marshmallows on top of each cookie, top with walnut half. Bake an additional 1 to 2 minutes or until marshmallows are softened. Cool completely.